Aging pets have unique needs that require special care and attention. They are at risk for the development of cancer (or develop a canine cancer tumor) , diabetes, and other disorders of the skin, thyroid, joints, kidneys and heart. Common problems seen in older pets include dental disease, orthopedic problems, obesity, and changes in behavior. Behavior issues may be helped with a combination of training, medication, and even diet. Physical therapy and/or acupuncture may help pets with arthritis and other age-associated infirmities. When is your pet considered a senior pet? Just as no two pets are alike, “senior” status varies according to breed and your pet’s life experiences. Generally, dogs over the age of 8 years are considered senior. Giant breeds like Mastiffs or Great Danes achieve this status sooner. Toy breeds may not be considered senior until they are 9 or 10. Cats are classified as senior when they reach the age of 10 years. When dogs age and become seniors, there are a number of conditions that can reduce their responsiveness to you. Partial hearing loss or even deafness can occur. These dogs may not greet you immediately when you come home. They continue to sleep and do not respond until they feel the vibration from your feet on the floor or from the door closing. Older dogs appear to experience a much deeper stage of sleep and cannot be aroused as easily. Impaired vision or blindness may occur. Usually, this is first noted in the evening when the lighting is poor. The cause is sclerosis in the lenses of the eyes (a cloudiness) or cataracts, which are more dense and reduce vision severely. These conditions gradually develop during the senior years. Your pet may see shadows but have difficulty recognizing you. Occasionally, older dogs develop a form of mental disorientation which is called cognitive dysfunction. They may be very restless and wander aimlessly around the house. Some will go into a corner and will not know how to get out. Other dogs will bark repeatedly at nothing. A dog with cognitive dysfunction needs to be watched more closely and not allowed to have access to all areas of the house. Stairs and rooms with small corners or restricted spaces should be avoided. You may need to repeat yourself when talking to these animals. Medications are available that may help some pets. Some dogs that are experiencing hearing loss will respond to hand signals. Speaking to them slowly with a louder voice will be helpful. Dogs with vision loss will do better if the lighting in the room is increased. These dogs should be slowly walked and kept close to your body so that they can feel your presence. Cataract surgery can be done if indicated. The sense of smell usually remains good in senior dogs. If you hold out your hand for them to sniff, they will usually recognize you by your scent. With good care, cats can live into their late teens even twenties. The percentage of older cats in the US is increasing. Many cats, especially older cats, do not receive the preventive care that they need. Older cats undergo some common changes such as behavior changes, decreased ability to digest nutrients, brittle nails and a decrease in the quality of the skin and coat. It is recommended that older cats get two checkups each year, at 6 month intervals. The reason for this recommendation is the more rapid aging that occurs in cats than in humans and the amount of changes that can occur over a 12 month period. Diseases or medical conditions often begin developing during middle age and if detected early, are much easier to manage than if they are detected later in the course of the disease. Diseases that are commonly diagnosed in older cats may begin years before they are actually obvious to the casual observer. Lab testing can detect subtle changes that may lead to earlier intervention and better management of these diseases. Common diseases in older cats include: diabetes, chronic renal disease, hyperthyroidism, inflammatory bowel disease and arthritis. Good quality nutrition is important to the overall health of your pet. Sometimes older cats will develop dietary intolerances to particular ingredients or foods and a diet change may be necessary. Remember never to “starve” your cat into a diet change, this can lead to fatty liver disease which is an extremely severe medical condition. Although you still picture your aging cat as the pouncing, jumping, speedy kitten it once was, you need to start to treat it differently in order to help it age gracefully and healthfully. Although this type of care won’t take up more time or more effort, it will require some changes to help make your feline more comfortable. Due to mental impairment, blindness or hearing difficulties, the geriatric pet may be confused. We speak to them at all times before we touch them so we don’t startle them. An old dog will produce a feeble bark when they are confused. Blind dogs are spoken to at all times so they can locate us, and to reassure them. Arthritis is a roughening of the joint ends, which cause pain on movement. Some older animals may have suffered from Hip Dysplasia from their youth, which may now cause more problems in old age. When caring this type of animal, it may cry out in pain or bite when the joint is handled; therefore we handle all geriatric pets as if they have arthritis. We move very slow and careful when working on an elderly pet in order to make them more comfortable and prevent injuries . Some pets require special foods to either lose or maintain their weight or manage other health issues. Accidents can happen. Older cats and dogs may occasionally soil floors and carpets if their nature calls are urgent and they cannot get outside or reach a litter box in time. We are patient with your seniors, and do not admonish them. The most important thing is to continue lavishing an abundance of love on your aging pets. They thrive wonderfully, knowing that we are there for them, giving them a sense of security, especially when they may feel anxious about their owners departure. You will be asked to sign a waiver for emergency animal care and it will give us permission if necessary to rush your pet to the closest Vet hospital for care if needed during it’s visit. Actually this form is signed by every pet that we care for that has a place for all emergency contact information and your vets location as well. We are patient with your senior pet and always supply plenty of tender loving care. We would like to share some tips to help you take care of your special senior through the golden years of their life. Cats may become arthritic so providing them lower sided litter boxes, or a step that reaches a high sided box is very helpful for them. Since urinary tract infections and kidney problems can also cause accidents, it is essential to talk to your vet about litter box changes. Wee Wee pads for dogs are very helpful and can help prevent house soiling. Ask your vet about the proper food your elderly dog should eat in order to meet all of their health needs and requirements. 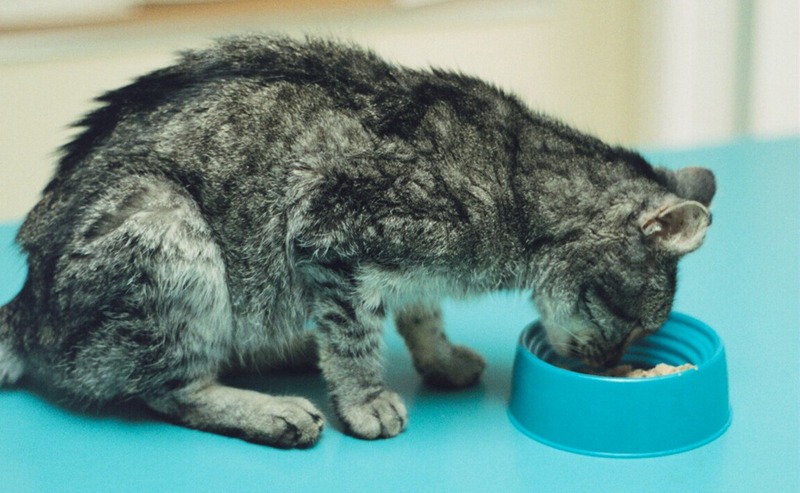 Avoid economy or low-cost foods for pets that have fewer nutrients. Avoid feeding your dog table scraps so he or she does not pack on unnecessary pounds. If you like giving your dog snacks or treats in between meals for training or just for their enjoyment, switch to low-calorie treats or try something healthy like carrot sticks, apple slices or green beans. As a dog ages, they start to slow down like humans. Their walks and daily exercise regime become shortened, if not halted completely. However, even though your dog is maturing in age, it is still important to maintain a daily fitness routine. Older dogs have a tendency to become obese because their owners stop exercising them. Obesity in dogs leads to a multitude of other health issues including arthritis. Because your dog is carrying around extra pounds, it puts pressure on their joints. Continue to walk Fido, even if it is only a short walk around the block. In the golden years of a dog or cat’s life, it is extremely important to maintain a consistent routine of regular check-ups with your veterinarian. Your veterinarian will advise you how many times a year it is necessary for your pet to come in for a check-up depending on their health issues and age. Health problems can crop up faster in old pets. If you think your dog or cat is suffering from a health related concern, don’t hesitate to visit your vet, even if it’s before your regular check-up. The longer you delay, the worse the problem could become. The older your pet, the worse their teeth get if you never took care of them.Brush your pet’s teeth regularly; it is never too late to start. You can use a cotton swab with special canine or feline toothpaste to massage your pet’s teeth and gums. Though senior pets require special care, it is not much different from the care you would provide a pet of any age. Don’t let their maturity deter you from adopting an older dog or cat that could wind up being the love of your life. No dog or cat wants to spend the last years of their life in an animal shelter. Give them the warm home they deserve and prove to these aged creatures that they are never too old to be loved, kissed and cuddled unconditionally. And honestly, who can resist a grizzled, grey muzzle? It is indeed a gift to be able to share many wonderful years with your once young and vibrant pet who has reached their golden years. This bond is very special and one, in our opinion, is a great honor.